As Rachel shared in her retrospective about our recent rebrand, our process wasn’t just about a visual overhaul; it was to ensure there was a strong alignment (both internally and externally) to what we want to achieve and what we strongly believe in – being human. This should also be the case for other brands wanting to do the same. While not all rebranding campaigns were met with mass rejoicing in the streets (sorry not sorry, GAP), there were some tasteful rebrands that were well accepted by the public, and others that took a risk on their rebranding, for better or for worse. 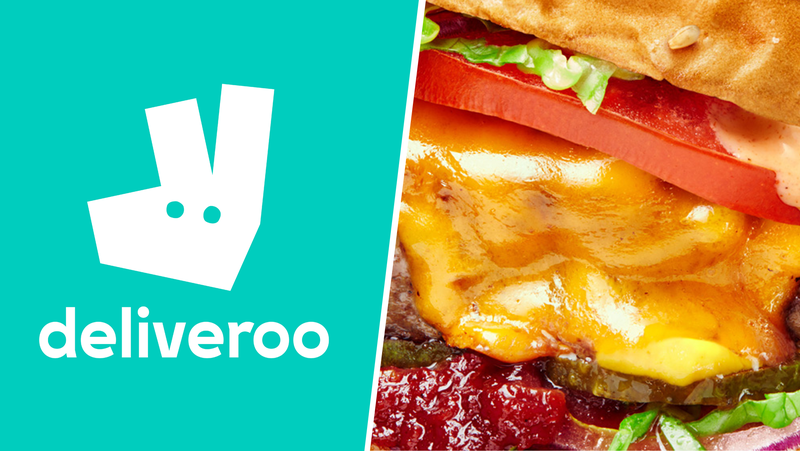 Meet Roo, UK food delivery service Deliveroo’s new logo. 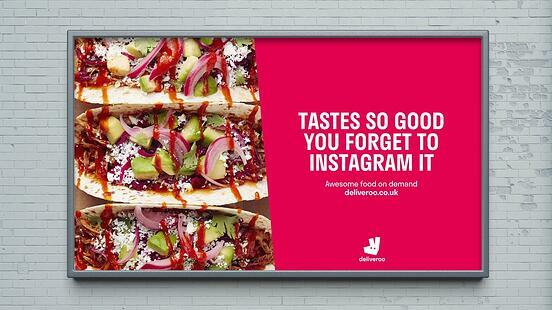 The company’s appointed design agency, DesignStudio, took an abstract step away from the familiar kangaroo logo to create a ‘bold, impactful’ one that could be globally recognised, and ‘an iconic shorthand’ for what they stand for – ‘awesome food, delivered everywhere’. At its very core, however, is how its kangaroo likeness remains. The newfound minimalism is coupled with bold colours and up-close shots of meals from burgers to sushi that aim to capture ‘the messiness of food in its tangible, up-close glory”. This new branding to us, has won hearts - and yes, our stomachs too. You don’t always have to rely on the logo graphic to make the visual rebranding memorable. Sometimes, secondary graphics and typographic treatments become the star. Second generation family businesses usually make good rebranding case studies. Take Singapore’s Koon Kee Restaurant, for example. Founded in the 70s by former sailor Mr Lim Koon Kee, this restaurant was known for serving up Thai-Chinese cuisine at the Singapore Civil Service Club till Mr Lim’s retirement. 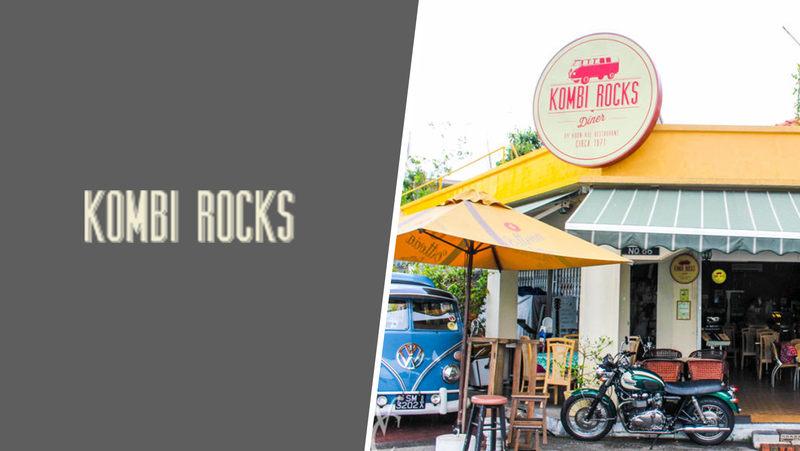 After Mr Lim’s passing in October 2010, the restaurant was revamped by Mr Lim’s youngest son in 2012 as a diner now known as Kombi Rocks. The vintage themed eatery was aptly named to reflect his passion for collecting and restoring Kombi vehicles. While the overall look and feel of the restaurant and its accompanying branding now has a more modern (yet retro) take to attract a younger crowd, the current owner continues his father’s culinary legacy by retaining many of his well-loved dishes on the menu. 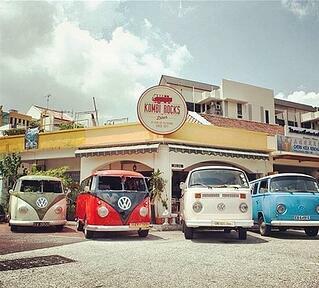 What a kombi-nation, indeed! A complete visual and conceptual refresh of a long-standing brand might not be a bad idea after all. It does not mean the old identity is forgotten; instead, it can be used to refresh and reinvigorate the past while staying relevant to your target audience. What matters is how the brand communicates its positioning – which, in this case, is its continuing legacy. Imagine the horror when Starbucks announced in 2008 that a brown (some say black) monstrosity would temporarily replace their familiar green and white logo. Suddenly, gone were the clean, curvy lines of their modern Siren and in its place - an unrefined 16th century twin-tailed mermaid, modestly Photoshopped (though only slightly) for the eyes of a prudent society. 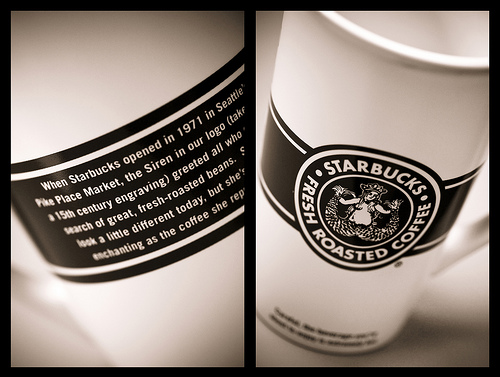 Yes, this homage to their original 1971 logo was a return to their roots, a major throwback – a ‘nostalgia effort’, even. But, at the risk of its iconic branding? 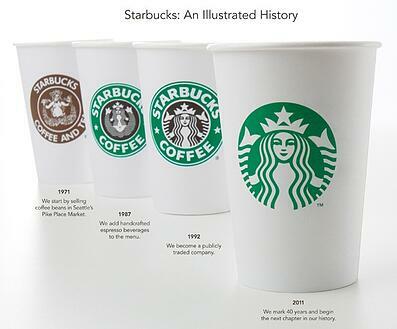 In their commentary about Starbucks’ brand evolution, New Jersey-based agency Works Design Group pointed out that while the company ‘attempted to take a leap into the future, [it] instead fell further into the past’. Thankfully, it didn’t last long, and another rebrand was done in 2011 to more positive acclaim. The coffee giant has probably learnt their lesson; because ‘when a green and white logo is all you need to become instantly recognizable, you know you’ve created successful packaging’ – and not to mention brilliant brand recall. If it ain’t broke, don’t fix it – Always listen to your customers first, find out what they love about you. You might surprise yourself! Selected hotels under the Traders Hotel brand went through a global rebrand from the second half of 2014, as their way of keeping up with a new generation of hotel guests and travellers. 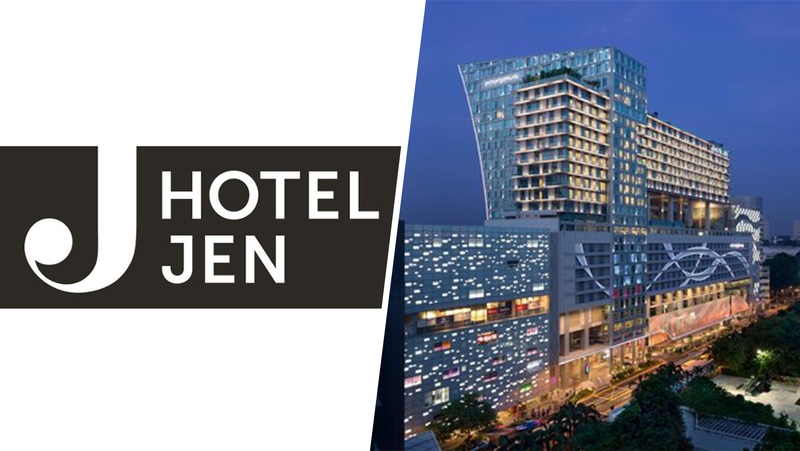 Hotel Jen now has a fresher colour scheme, a personable tone of voice and a ‘fun, friendly, fuss-free’ vibe, along with a virtual spokesperson and a self-professed ‘all-time lover of life, travel and discovery’ called - what else? - Jen. To further appeal to this new ‘Jen-eration’, the hotel chain went a step further by delving deeper into the psychographics of millenials, to understand how they can best deliver a better overall experience. This included a friendly and simple check-in procedure, with technology as a key feature throughout the hotel, and staff as ‘personal local lifestyle guides’ to their guests. This deep understanding has allowed the hotel to create a ‘more independent, yet friendly and personable stay experience’ for their guests, whom they call ‘friends of Jen’. Rebranding is not just about changing up one’s visual identity. 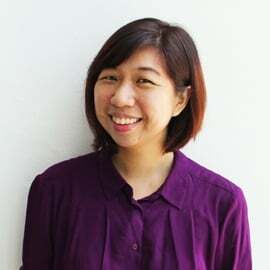 It could also be re-designing business processes, services and providing new experiences that connect with the brand’s audiences. So, if you hadn’t already heard, we recently went through our own rebrand! But rest assured that we’re still the same social-centric, human brand lovin’ folk you can be akin to (just a little spiffier). Take a look here to find out more!